Hormonal birth control methods usually work quite effectively to prevent unplanned pregnancy. Proper use of these methods may also help improve your reproductive health. However, you need to understand that birth control pills are highly effective, but certain medications can affect the way these pills work. Many women wonder if it is okay to take vitamins when taking birth control pills. Let's find out the answer now. There is a large amount of ascorbic acid or vitamin C present in your ovaries. It actually means that without enough vitamins in your body, your reproductive health will suffer. However, it also implies that if you increase your intake of vitamin C, it may reduce the effectiveness of the birth control pill. It is also thought that vitamin C can interact with estrogen, which is the main hormone present in many birth control pills. By taking more vitamin C, you may end up increasing circulating estrogen in the body, which may make birth control pills less effective at blocking ovulation. In most cases, you do not have to worry about taking antibiotics when taking birth control pills. Your doctor may prescribe certain antibiotics to treat bacterial infections, such as acne, pneumonia, and urinary tract infections. Amoxicillin and penicillin are the most common types of antibiotics used for this purpose. However, some studies have found that an antibiotic called rifampin, which is used in the treatment of tuberculosis, may interfere with birth control. It can cause irregular periods and makes birth control less effective. Other than this antibiotic, you can usually take antibiotics and birth control at the same time. 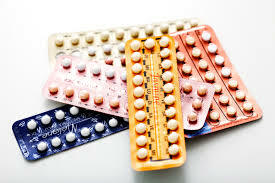 Still, it is a good idea to inform your doctor that you are currently taking birth control pills. Some drugs used to treat HIV may also interfere with birth control. Some common examples include Efavirenz, Darunavir, Nevirapine, and Lopinavir. Be sure to tell your doctor that you are on birth control, so they could prescribe the best medicine. Some antifungal medications may also have an impact on how your body utilized birth control. You should especially avoid ketoconazole and grisefulvin when taking birth control. Your doctor may prescribe griseofulvin to treat skin infections such as jock itch and athlete's foot, whereas ketoconazole is commonly used when other antifungal medicines do not work. Taking anti-seizure drugs while taking birth control may not be a good idea. The reason is that these medications can accelerate the process of breaking down hormones in birth control pills that can make them less effective. Some of these drugs include Phenobarbital, Oxcarbazepine, Felbamate, Carbamazepine, Phenytoin, and Topiramate. It is a good idea to use another type of birth control like a diaphragm, an IUD, or a condom while taking anti-seizure medication. This stimulant is usually prescribed to deal with symptoms associated with sleep disorders, such as sleep apnea and narcolepsy. Some studies have found that this stimulant can interfere with the pill and make it less effective. It is better to use another type of birth control while you are taking Modafinil. St. John's Wort: Usually used to treat sleep disorders and depression symptoms, it may increase your risk of having breakthrough bleeding. It also increases the breakdown of estrogen and makes your contraceptive pill less effective. Saw Palmetto: Used mainly to treat hair loss, it is better to avoid it when taking birth control pills. Garlic pill: Used to treat high cholesterol, high blood pressure, and other heart diseases, these pills do not work well with contraceptives. Alfalfa: Used to treat bladder, kidney, and prostate problems, it is better to avoid it while on birth control pills. Should You Take Biotin with Birth Control Pills? As mentioned already, you should have clear information about what vitamins make birth control less effective, but you should also be aware of what will not cause any problems. 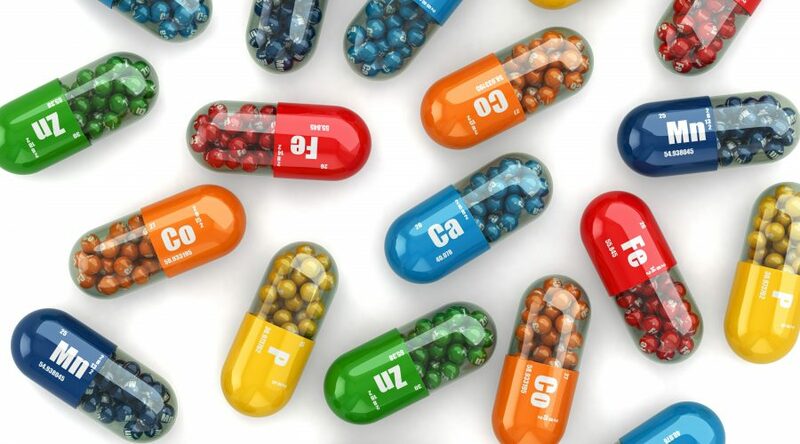 For instance, many people believe that you should avoid B-vitamins when taking birth control pills, but the truth is that there is not enough scientific evidence suggesting that biotin or vitamin B7 should also be avoided. Can Birth Control Pills Cause Pain in Chest? Does Marijuana Count as a Depressant?